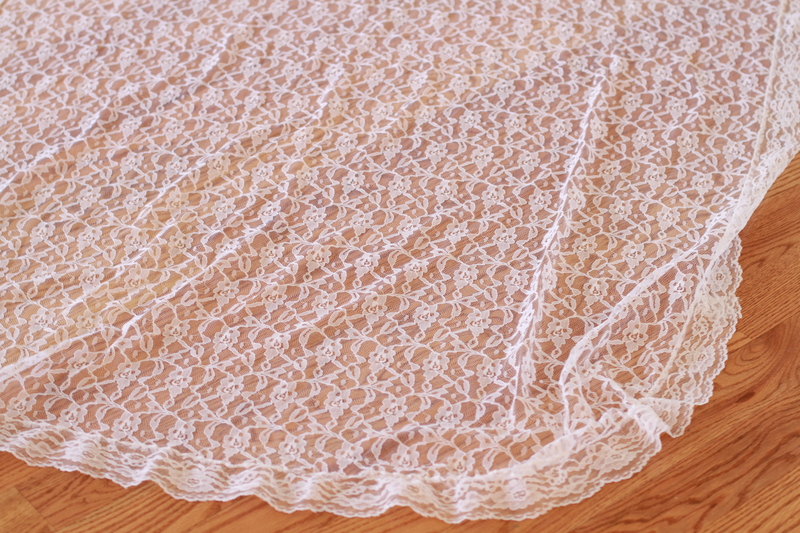 A large piece of lace, thrifted for $2. An old tablecloth perhaps? Such lace has been used so effectively for stenciling furniture lately, I did consider that. But the needs of our household run closer to imaginative play. I flipped a quarter of it back on itself, sewed a casing and gathered it on a headband. I added a comb to keep it on and viola, another girly addition to the ever expanding dress-up bin. Apparently it is necessary for princesses to spin. A lot. What an elegant young lady! 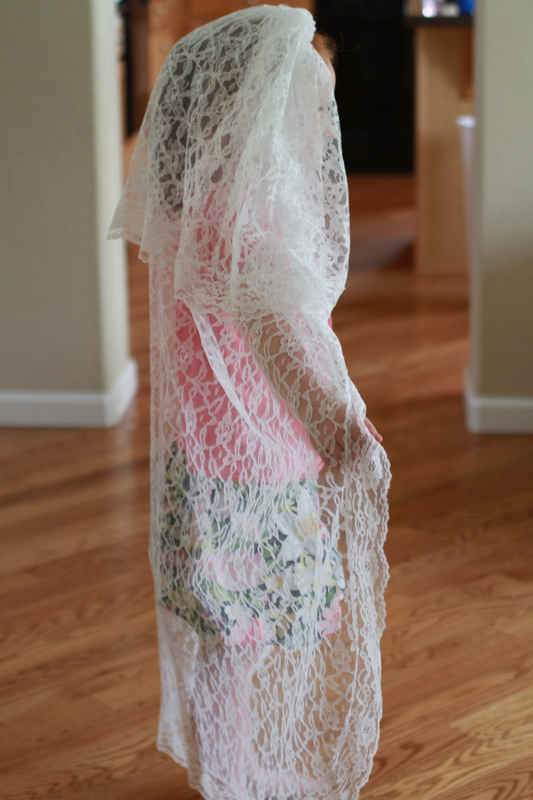 amazing what a piece of lace can do. You are currently reading Lace lovely at whatsarahfound.